Tani USA’s “Who Will Win The Super Bowl Challenge 2018” contest reveals that their customers believe that the Philadelphia Eagles will defeat the New England Patriots. Tani USA is a men’s upscale underwear and luxury loungewear brand found that 58% of their customers who participated in their contest believe that the Philadelphia Eagles will win this weekend's game, while of those who participated only 42% believed the New England Patriots would win. Out of the attributes studied Eagles fans prefer boxers over briefs while New England Patriots fans preferred briefs over boxers. We believe that Patriots fans traveling to Minneapolis bought more warm thermals and loungewear because of the record cold in the game day forecast, the predicted high is 7 degrees, with a low of 5 below zero. “It comes to no surprise that more of our customers want the Philadelphia Eagles to win this year’s Super Bowl. The New England Patriots have won 5 of the past 7 times since Tom Brady has been on the team, and viewers want something different.” Said Jeremy Lindy, Marketing Manager for Tani USA. The poll was conducted by Tani USA asking participants letting us know who they wanted to win during the purchasing process. The poll lasted from January 22, 2018, to February 1, 2018. Tani USA makes the worlds best, most comfortable mens and women's undergarments that will change the way you think and feel about underwear. 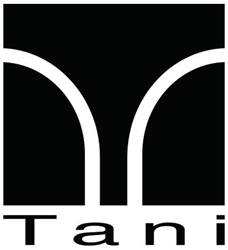 At Tani, we strive to set a new standard in underwear. We do this through innovation in every aspect of the garment. From using new and patented fabrics to developing a better waistband. Tani simply feels better and fits unlike any other. Despite the amazing soft feel of our garments, they are made with high durability and easy washability in mind to ensure long-lasting use.